Well Easter is upon us and I'm making a bunch of sweets for the Easter festivities.. two cakes, fudge, and lots of chocolate chip cookies. 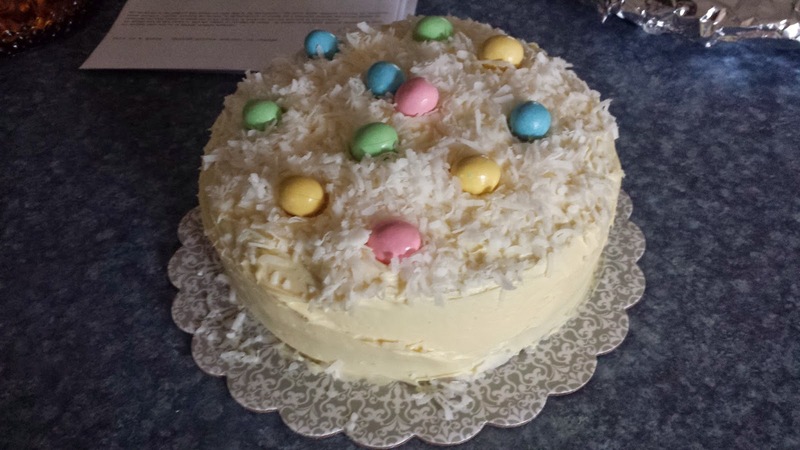 Here's a picture of one of my cakes....It's just a lemon cake mix with vanilla filling, and yellow butter cream icing...topped with coconut and chocolate eggs, to give it that Easter flare!! !